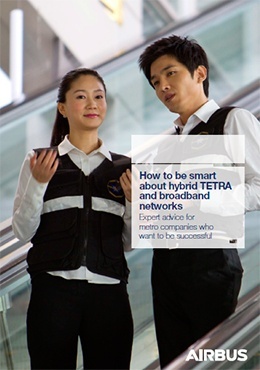 Did you know that a metro company - as well as other transportation companies - can continue to use a TETRA network for mission-critical voice and data and introduce mobile broadband services step-by-step? This paper explains how this hybrid model can be achieved. Get this Executive briefing now! Expert advice for metro companies who want to be successful: how to adopt the hybrid network model and secure the existing investments in communications.